Check out what people have to say about me! I met Jared when I first moved to New Orleans from Nashville in 2011, when a friend in Nashville linked us up. At the time, I was barely ready to get my toes wet in the daunting New Orleans rental market, and was no where close to even begin thinking about buying a home. Nor was I particularly ready to tie myself to a Realtor, who I assumed would inevitably either, (1) try to sell me something I couldn't afford, or (2) lose interest when he learned I was the pickiest broad on the planet--with a budget. Neither of these things turned out to be true, however, and I didn't get just a realtor when I met Jared: I got a friend. I ended up taking an apartment in the French Quarter in 2011, and spent the next two years loving it. Jared and I stayed in touch. Then, in the spring of 2013, I emailed him--I was ready to venture into the housing market. Needless to say, he was excited, and he got me excited. Over the next four months, we saw more than a few houses, made more than a few offers, and received a few rejections. But, Jared never lost his enthusiasm and determination to see me a happy homeowner. One day, a Victorian camel back, in New Orleans parlance, popped up on the MLS, and I knew she was it. I (frantically) called, texted, and emailed Jared all at once. Two hours later, he met me at the front gate. We made an offer within another two hours, which was rejected the next day. I was crushed, but at that point was seasoned to the hysteria and unpredictability of the early summer market. One month later, Jared received a phone call--the sale had apparently fallen through, and the Victorian camel back was about to hit the market again. He played it cool, as any good realtor would, and promptly texted me. I was under contract on the Victorian camel back within 48 hours, and closed several weeks later. Four weeks into home ownership, and I couldn't be happier with my decision. I don't know many realtors, but I know I had, and have, one of the best. Not too many people would have ridden those 4 months out with me with the enthusiasm and determination that Jared did; and for that, and his friendship, I owe him immensely. Like so many of you reading this, I was caught with an expensive house in a down-turned market. My job forced me to move from the area and I had bad luck with renting out my home. Then the bottom fell out of the market and the value of the house went below my mortgage. I bought every gimmick and read every book on how to sell my house in the market. No results! 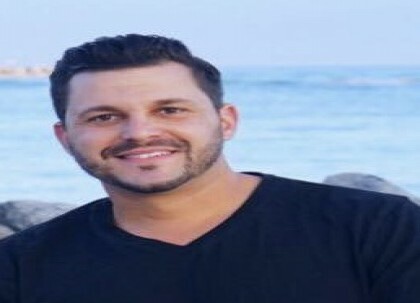 It was not until someone introduced me to Jared Fousch and his team that I realized that there are professionals out there that know how to sell houses in this market. Jared is one of them! He guided me through the process, communicated with me frequently and answered every question that I hadâ€”even on weekends. My house sold in record time for the short sale market thanks to Jared and his strong, professional team. You want the best Realtor out there? Get Jared!!! I was scared! The situation with my house was a bad one because I had several issues. Interior/Exterior Damages, Road Home, Failed Termite Inspection, Outdated appearance, Threats of Foreclosure, Land Scape issues and all in a neighborhood that was loosing its appeal and value. Needless to say, I was in a bad way. I\'m a single mother that really stuggles on a daily basis and I guess maybe that may be one reason why Jared worked so hard for me. Today my problems are gone and I can\'t thank Jared enough! Jared made an impossible situation possible. I was literally losing sleep from the stress caused by the house. After contacting Jared, all of my fears were eased. Jared took care of EVERYTHING! I no longer worried about how to handle the situation because he did it all. He was professional, courteous and most importantly- EFFECTIVE! I've already recommended Jared to two close friends as I know he will go above and beyond for all of his clients. In our dealings with Jared we were very pleased with his level of accountability and integrity. Jared is very professional and honest in his business. All of our questions were answered and he spent numerous hours working on our behalf to make the transaction as expedient as possible. Over the last months my condo was up for sale and I needed someone that could intervene and negotiate a sale or short-sale. I did not want to lose it in foreclosure or have to file bankruptcy. My previous agent asked Jared Fousch to contact me. He did and I gave him permission to make the deal to bring this problem to a close. He has been very professional and easy to understand when he told me what was going on. I could not say enough about him or how he handles business. If I were to ever need to buy or sell again I would not hesitate to use Jared Fousch or recommend him to anyone. Jared was a lifesaver. His competent and capable understanding of the short-sale process helped us avoid foreclosure, and begin our financial recovery. Anyone staring down the barrel of foreclosure should give Jared a call and finally get a get a good nights sleep. Jared was meticulous in helping me find the perfect home. He was an aggressive and professional negotiator and helped me by my dream home for a wonderful price!